The Art on High Strategic Plan will help define the High Street Corridor by honoring its history, celebrating its culture, and creating rich experiences for residents and visitors through public art. The City of Columbus is moving forward with the High Street Streetscape Improvements Project, which will soon transform one of the busiest sections of the most traveled corridors in Columbus. This work has already begun on certain sections of High Street. When finished, the streetscape improvements create a safer, more walkable, and even more inclusive neighborhood by burying overhead utilities, increasing sidewalk widths, standardizing streetscape elements, upgrading lighting, adding marked crosswalks, improving stormwater management, and adding new street trees. The purpose of the Art on High Strategic Plan is to advise the City of Columbus as it invests in public art and its commitment of $420,000 or 2% of the budget for the streetscape project. The first installation is meant to inspire ongoing investment in public art from business and community leaders, as well as residents. This process and the resulting artwork represent the first of what is anticipated to be many separate contributing artistic efforts by many organizations, and the community over time. Final plan recommendations were presented in January 2018. WHY DOES THE HIGH STREET CORRIDOR NEED A PUBLIC ART STRATEGIC PLAN? Art on High knits our diverse community together by defining and implementing our expression—our signature—to the world. The people of Columbus are creative, spirited, and ingenious. The plan will celebrate our city’s artistic vitality and set the standard for how we begin to implement and enjoy public art on our most traveled corridor. Public art helps us celebrate our heritage, communicates our direction, and characterizes our sense of place. Thoughtfully implemented public art will define the High Street Corridor to ourselves and project our special qualities and competitive advantages to visitors and investors. In this way, the Art on High doubles as an important economic development tool. REACH: How does the community expand who sees, creates and participates in public art on High Street? DEPTH: How does the community increase the amount of public art on High Street? INVESTMENT: How does the community leverage the public resources being invested by the City of Columbus in order to maximize the effort to implement the public art strategy that is born from the plan? The intent of the Art On High strategic plan is to provide direction and a community-wide vision for how public art can be integrated into the High Street Corridor from Goodale Street on the south to Ninth Avenue on the north. HOW WILL ART ON HIGH BE IMPLEMENTED? The City of Columbus selected three finalists for the Art on High public art project: Mark Fornes, Mark Reigelman and Christian Moeller. A Request for Qualifications was released on Monday, June 4, 2018, and closed on Monday, July 9, 2018. Applications were received from 153 artists or teams, and finalists were selected by an eight-member panel of both professional artists and community representatives. The three finalists are Mark Fornes, Mark Reigelman and Christian Moeller. The finalists will visit Columbus at the end of August to better understand the project area and the spirit of High Street. Each artist will present their project proposals to the selection panel in October. One proposal will be selected and presented to the Columbus Art Commission. Anticipated installation is expected by fall 2019. In the event one of the finalists cannot complete their proposals, two alternates have been selected. Have feedback from this event? Please contact us below. 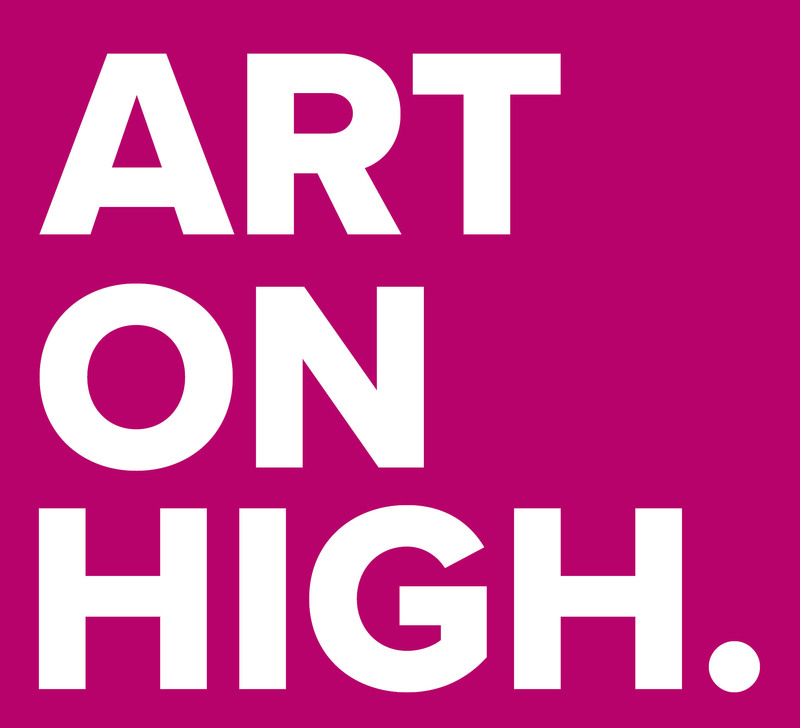 You can contribute to Art on High by photographing High Street and sharing your images with us on Instagram using the hashtag #ArtOnHigh. Be sure to share in the description how your image represents the unique aspects of High Street – how are we different from our neighbors and what do we share with them? What reflects our history? What reflects our future? Anyone who lives, works, or invests along the High Street Corridor is encouraged to be involved every step of the way. Check back for events, come to a workshop or meeting, submit to #ArtOnHigh on Instagram, take the survey or feel free to contact us anytime and request that we add you to our communication list.